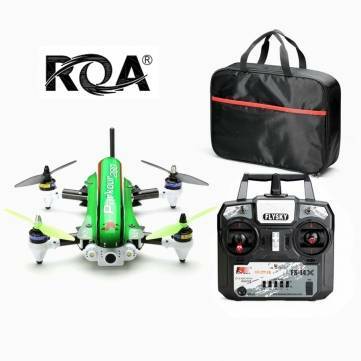 ROA Parkour 280 Racer With Flysky 2.4G 6CH Transmitter CCD SONY 700TVL Camera. Plastic canopy: Parkour 280 comes with red canopy, if you prefer green or yellow, please wait patiently, we will sell the canopies as spare patrs as soon as possible. Compatible camera: Mobius, Gopro, CCD SONY 700.